UN High Commissioner for Human Rights Michelle Bachelet expressed outrage at the “unconscionable toll” that the escalation of hostilities in Al Hodeidah was taking on an already “deeply frightened and starving” population in Yemen. 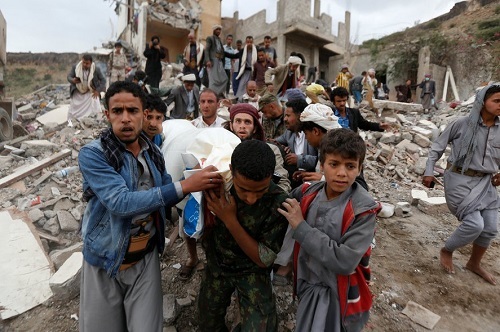 Bachelet urged the Saudi-led Coalition, the Houthi forces and all those supplying arms to the parties to the conflict to take immediate steps to end the suffering of civilians in Yemen. The UN Human Rights Office has documented that between 26 March 2015 and 8 November 2018, there have been a total of 17,640 civilian casualties in Yemen, including 6,872 dead and 10,768 injured. The majority of these casualties – 10,852 resulted from airstrikes carried out by the Saudi-led Coalition.